Gelato may have gotten its start in Italy, but it’s gained quite a fan base in Florida. Not many can find it easy to resist this tasty concoction known as ice cream’s second cousin. And thanks to its massive popularity, you can find plenty of places dishing out some of the best gelato this side of Italy right here in the Sunshine State. Give your taste buds a delightful treat at one of these 10 best gelato places in Florida! The swirls of perfectly crafted gelato here look almost too good to eat… almost! You’ll find a huge variety of unique flavors, all made fresh with locally sourced ingredients to ensure only the best quality. Aside from their tasty gelato, they also offer tasty coffee and smoothies to give you plenty of options. This little gelato bar and coffee shop is perfect for a quick break from the ordinary. They make all of their gelato and sorbetto on site fresh daily, using only natural ingredients to deliver nothing but quality in every order. Your taste buds will appreciate the difference! You can’t help but smile when you walk through the door—this place is bursting with cheerfulness! 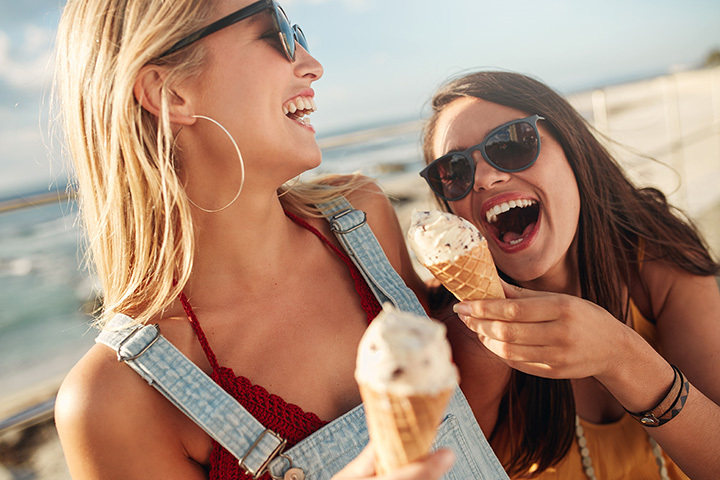 You’ll be smiling even more once you taste their delicious gelato and other sweet treats. Each flavor of gelato is handcrafted to perfection, and it shows in both appearance and taste. Made the old-fashioned way, Bianco Gelato prides itself on using only organic ingredients in their fine gelato. You won’t even feel guilty giving it this to your kids, because you’ll know every item on the menu is made with authentic ingredients of the finest sort. If you can’t make it to the Miami location, there are dozens of stores throughout the area that carry their delicious gelato. Ever had a beerlato? You owe it to yourself to try one! Aside from their amazing variety of yummy gelato, this little gelato bar has crafted the perfect gelato-based cocktail, fusing beer with creamy gelato for one truly unique concoction. You won’t find gelato that more authentic that right here at Vaniglia and Cioccolato. They infuse real Italian flavor in every batch of creamy gelato, along with other tasty confections like macarons, cannoli, lady fingers, crepes, panna cotta, and coffees. You haven’t tried true gelato until you come here. From the moment you arrive you’ll feel like you’ve stepped into the Italian motherland. This little gelato cafe offers some of the best in flavors and ambiance. Here you’ll find tried and true favorites, like amaretto and hazelnut, as well as a variety of sugar-free options. And the service here is equally impressive. Gelato may be the main specialty here, but the Gelato Company is also well known for its lunch offerings of sandwiches, cheesesteaks, and salads. You won’t know which one to eat first! This is traditional gelato at its absolute finest! They pride itself on making their gelato as healthy as possible, using non-fat milk and less sugar without sacrificing taste or quality. This means you get less filler and more flavor in every bite, and it’s well worth a visit.